Whilst food won’t eliminate your stress, it can act to buffer some of the effects of stress and slow down cellular ageing. Maintaining a healthy vitamin and mineral status is crucial for cognitive function and well-being. 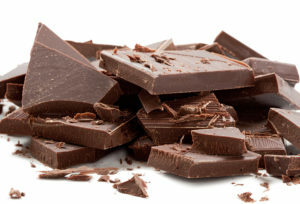 Antioxidant rich dark chocolate is known to reduce feelings of perceived stress and increase feelings of wellbeing, with females being especially sensitive to the stress relieving effects. Savour, but be careful not to overindulge! These creamy and highly nutritious fruits are rich in fibre, folate and vitamin B6, as well as vitamin C, magnesium and monounsaturated fatty acids. Folate, vitamins B6 and B12, have been shown to have a direct effect on mood and neurotransmitter regulation such as serotonin and dopamine, as well as being crucial for increased energy. Chronic stress reduces vitamin B6 and a study found that high numbers of people admitted to psychiatric units were deficient in folate or vitamin B12. 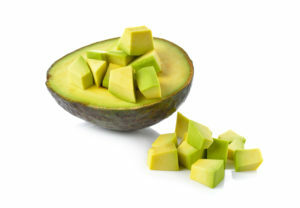 Sliced and placed on toast, eaten as part of a salad or mashed up into guacamole, avocados are wonderfully versatile. Loaded with vitamins, antioxidants and phytonutrients, a recent clinical trial found blueberries reduced the effects of post-traumatic stress disorder, due to the secretion of serotonin, thereby enhancing feelings of happiness and well-being. 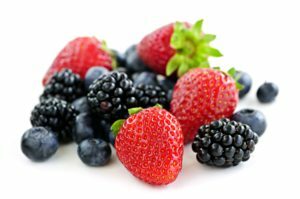 Also rich in vitamin C which has been shown to lower blood pressure and cortisol levels, and antioxidants which act to prevent, reduce or repair the damage caused by oxidative stress. Great in smoothies, toppings for your morning oats or snack time yoghurt, or simply popped into your mouth, these mini nutrient bombs pack a punch to offer all kinds of healthy benefits. They are nutrient rich, and contains healthy fats and fibre, as well as B-group vitamins, magnesium, zinc and antioxidants. Although high in fat, clinical trials suggest that regular nut consumption is not a likely contributor to obesity and may even enhance weight loss, when eaten as part of a calorie controlled diet. Zinc has been shown to buffer the effects of stress and improve anxiety, mood and behaviour. 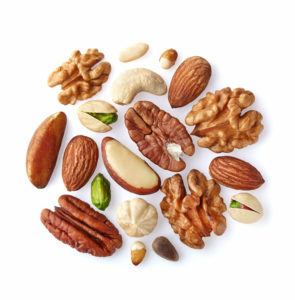 Pack a handful of nuts such as almonds, walnuts and cashews for your snack box. The nutritious plant originated in Asia, with ancestry found in the wild red oat. A slow digesting carbohydrate, high in fibre and antioxidants, oats help to maintain lower blood sugar levels as well as helping the brain to produce serotonin, the ‘happy’ mood hormone. 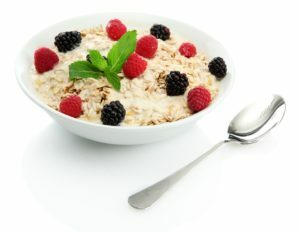 A bowl of oats, topped with berries and chopped almonds and walnuts, makes for a great start to the day. Seaweed contains brain boosting omega-3 fatty acids, folate and magnesium, and it packs a high tryptophan content – an amino acid which is converted to serotonin by vitamin B6, and thought to have positive effects on mood, memory and sociability. 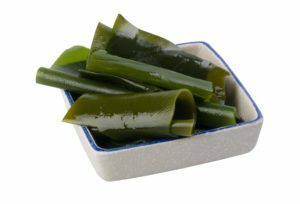 Snack on, toss and serve with salads, noodles and soups, or traditional Japanese sushi are just some of the ways seaweed can be enjoyed. The oily fish is high in omega-3 fatty acids, considered ‘essential’, since they cannot be produced by the body and so must be derived from our diet. Omega-3 fatty acids have been shown to reduce adrenal activation, thus lowering the release of cortisol secretion caused by psychological and physical stress. 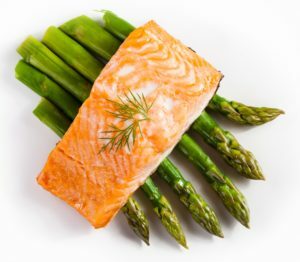 Salmon, a weapon in our arsenal of healthy foods, is also an excellent source of vitamin B12, B6 and vitamin D, and a good source of magnesium, all of which play a role in combating the effects of stress. Spinach, together with other green leafy vegetables are an excellent source of magnesium, vitamin C, vitamin B6 and folate, and other stress busting nutrients such as omega-3 fatty acids and zinc. Magnesium, a mineral involved in over 300 biochemical reactions in the body, is sometimes affectionately named ‘the relaxation mineral’ due to its calming effect on muscles and anxiety, and improved sleep. Stress and magnesium have a dynamic relationship in that during times of stress, there is greater reduction of magnesium from the body, whilst magnesium deficiency enhances the response to stress. As ageing is a major risk factor for magnesium deficiency, getting plenty of magnesium rich foods is essential for good health. 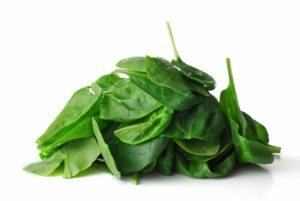 Cooked or raw, spinach is a versatile leaf that can be easily added into dishes such as salads, soups, or sautéed as a side dish. With your mind consumed with worry, it can be helpful to embed some easy ‘anchors’ in your day to ensure that you get the foods you need without adding extra stress. Simple planning of a few meals, for instance, oats with chopped nuts and berries for breakfast, a green leafy salad or vegetables with some salmon and brown rice for lunch or dinner, pre-cut (or whole, such as apples, grapes, and berries) fruits and vegetables, and handfuls of nuts for day time snacks, especially during the afternoon slump!